Gabriel Allon is an agent for the Israeli government. He has been one for many years, working undercover for the Office of Intelligence and Special Tasks since he took part in the retribution for the Munich Massacre in 1972. In his own mind he was ruthless and cold in his work, doing whatever was necessary. Then his wife was severely wounded and his son died in a bombing meant for him and his world collapsed. After a period of grief that still haunts him, he left the clandestine world. To earn a living and keep his sanity, he went back to a previous love, the art world. He now works as an art restorer specializing in the Old Masters with a reputation that reaches deeply into the art world. His prices are very high and he takes his time to get to truly know the artist before ever touching a canvas. This meticulousness gets him ridiculed by his less-capable peers and pressured by those would-be employers who want it now. It also gets him a long list of would-be clients. But the covert world is not ready to leave him alone. He was always the best agent that the department had had so at times he is brought back by Ari Shamron, the oft-times head of the agency and a man Allon both loves and hates. Being well into his 50's, Allon cannot run and fight as well as he once did but his experience and training over the years has more than compensated. 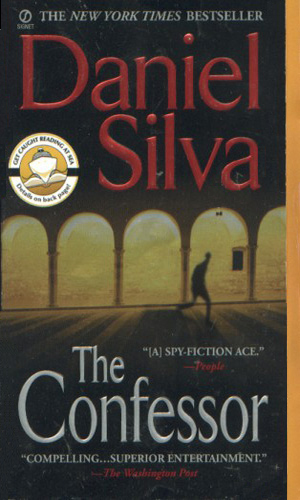 Adding in a keen intellect and an eye for detail, plus fluency in five languages, makes him a danger to his enemies. 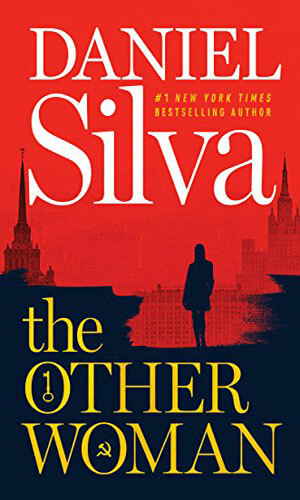 As the series progresses, Allon changes with time, as is appropriate, but his committment to what he perceives as right, and his loyalty to old friends, never diminishes. A Palestinian zealot named Tariq is preparing a final act of vengeance on the West. Gabriel Allon is called out of retirement to put a stop to him because no one knows Tariq like Allon as Tariq was the man who killed Allon's wife and son. 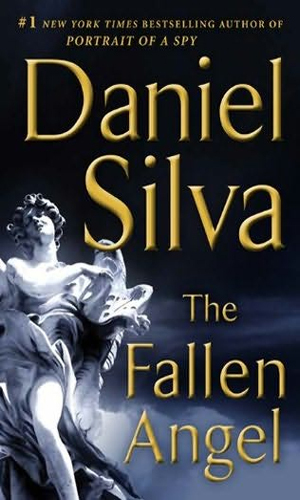 A rich Swiss banker has hired Gabriel Allon to restore an old masterpiece but when Allon arrives, he finds the banker murdered. He also finds the painting didn't need fixing. Soon Allon is involved in a plot to keep millions in Jewish Holocaust look from being discovered. A fellow Mossad agent and friend to Gabriel Allon is killed while researching a book on how the Catholic church helped or didn't help the Jews fleeing Nazi Germany. 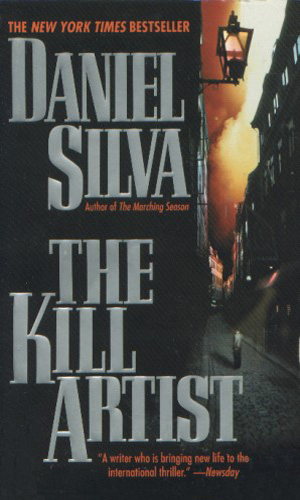 Allon picks up the assignment from his fallen friend and soon becomes a target himself. 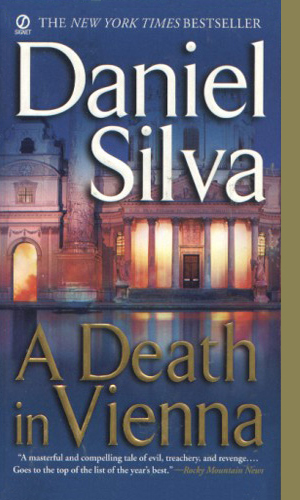 While investigating the bombing death of an old friend in Vienna, Gabriel Allon learns of aspects of his past that he would rather never to have known and which now seek to kill him and many more. 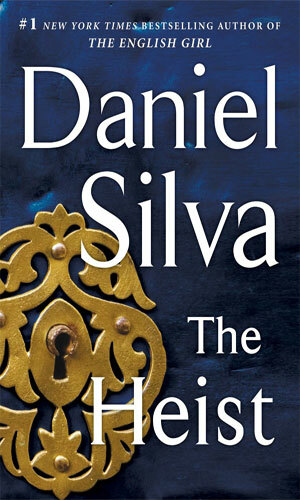 In Venice, Gabriel Allon discovers that a dossier holding his deepest secrets has been stolen by arab extremists. He must act quickly to catch and destroy a powerful terrorist leader before his entire life is exposed to the world. 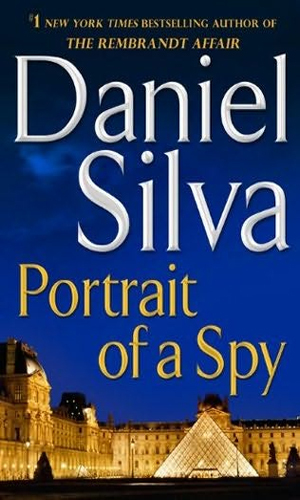 With his cover completely blown, Gabriel Allon faces a life living only in Israel or working for Mossad again. Soon, though, he is offered a third choice, to work with the Vatican to stop an Islamic plot to destroy the Papacy. 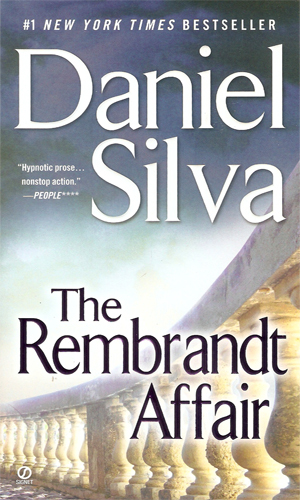 In the investigation of the murder of a Dutch terrorism expert, Gabriel Allon discovers the basis for a plot to kidnap the American ambassador to England. While he is minutes late from foiling it, he nevertheless becomes their next target. 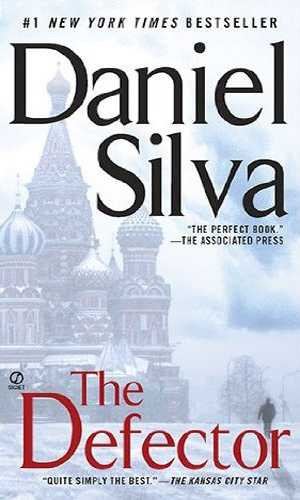 Sent to Russia to check out a journalist's death, Gabriel Allon finds the New Russia to be just as deadly as the old one, though the culprits have changed. His adversary is a wealthy arms dealer who has a plan to outfit Al-Quaida with all it needs to make a horrid statement. 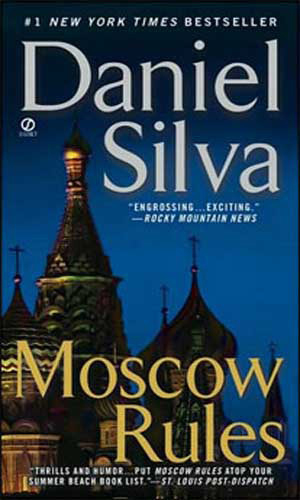 The villian from Moscow Rules is still alive and out for revenge against Gabriel Allon and starts by attacking his friends. Allon must put together a team to survive. Allon was finished, yet again, with the Office and determined to live in seclusion nursing his wife back to health. The violent murder of a friend, though, pulls him back into the action with a newly discovered Rembrandt being at the center of the trouble. 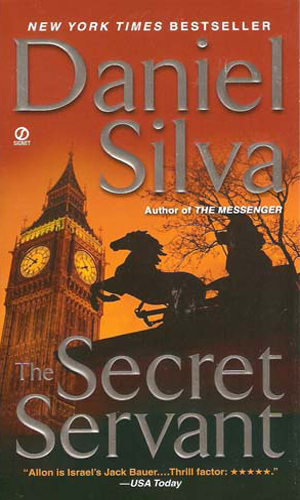 Unable to prevent a bombing in London, Gabriel Allon is not surprised when he is asked to go to Washington to help. The target is an American cleric in Yemen, a one-time CIA asset who now is gathering forces against his former country. Allon is asked to stop him. 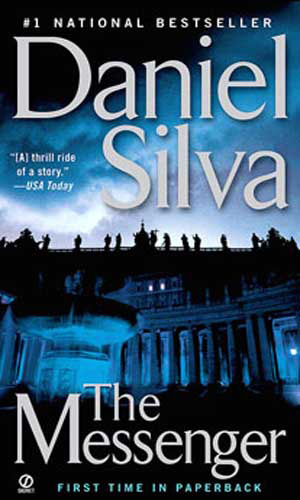 Wanting no more excitement for a while, Gabriel Allon is pleased to be in Rome repairing a masterpiece when his old friend, a Monsignor who is private secretary to the Pope, asks his help investigating the death of a young woman in the Basilica. The secret she possessed has tremendous repercussions. The disappearance of a young British woman while in Corsica has had tremendous consequences, threatening the loss of office for the Prime Minister. Gabriel Allon had no interest in the matter but that did not stop him from being forced into getting involved. 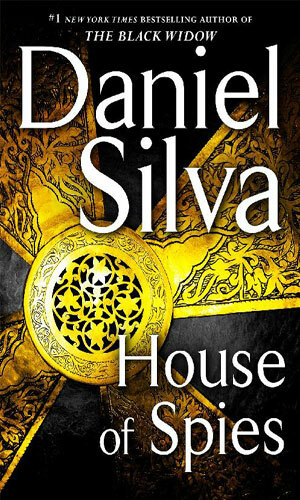 What started out as a search for a missing art piece turns into a covert mission into civil war-torn Syria for Gabriel Allon and a couple of his helpers. 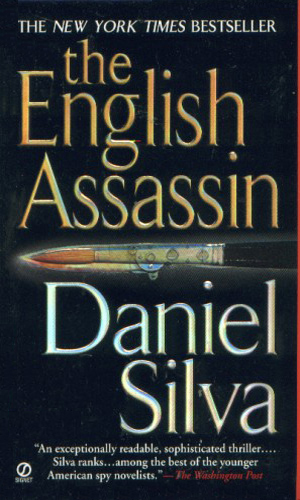 The death of a member of the British Royal family at the hands of a master bomber prompts British Intelligence to ask for the help of Gabriel Allon in tracking the assassin down. To take down the biggest terrorist threat in quite some time, Gabriel Allon must entice the aid of a couple in the south of France. She is a beautiful former fashion model. He is her husband, a major drug dealer. Together they could become an unusual pair of heroes. In the mountains of Andalusia lives an aging French woman with a dangerous secret of an illicit love for a KGB agent and the child borne of that love. The child now stands at the threshold of great power in the West though his allegiance lies elsewhere and it will be up to Gabriel Allon to bring the truth out. 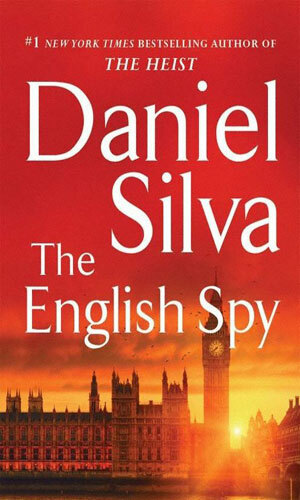 If you love good spy fiction, depicting what a real spy might be faced with, you look to the Old Masters like LeCarre, Greene, Deighton, and such. You can also look to Mr. Silva who has earned a place next to these giants through his many books about Allon. 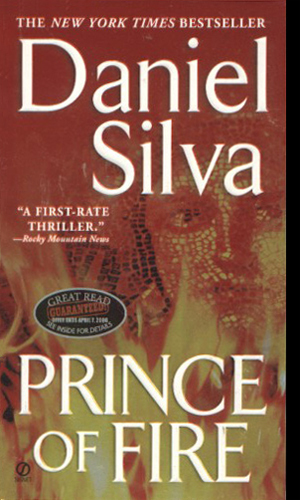 The presence, now routine, on the Best Seller lists is evidence of the respect he had earned. I think the adventures of Allon are about the best being offered these days. I especially liked that fact that though Allon was born and raised in Israel and has a natural love of his country and his loyalty to it has never wavered, he is no longer a die-hard zealot. He can see the good and the bad in his homeland and its government and he can see the same in its enemies. He has compassion. He has a conscience. I would like him as a friend. Character in the earlier books is conflicted and multi-dimensional. In my honest opinion, there is no other spy character greater than Gabriel Allon. Deeply conflicted, highly intelligent and incredibly brave and loyal. This series and character are the ones I send people to when they ask me what my favorite author/character is to read. I am now working hard on aquiring the series in hard cover. Awesome. Exciting, imaginative storylines, with empathetic characters. 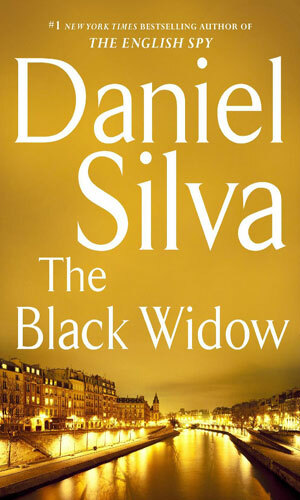 Handsomely written, and I love the rich background and characters, especially Allon, but his last four books all have the exact same plot, Allon recruits a beautiful well to do woman to bring down a terrorist or terrorist plot. Let me know when he comes up with a new one and I'll come back again. He's a damn good writer, but that is just plain lazy. I just finished reading The Other Woman. It''s a good read. 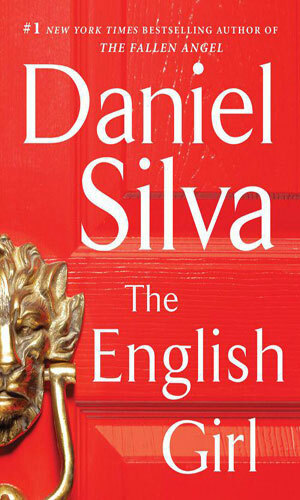 Not as action packed or huge build up to the ending as his previous novels but good just the same. It''s nice to see the Prince of Fire age like the rest of us mortals.